According to the departing Latvian Prime Minister Laimdota Straujuma, Russia’s attempts to undermine Latvia’s national security are ongoing. 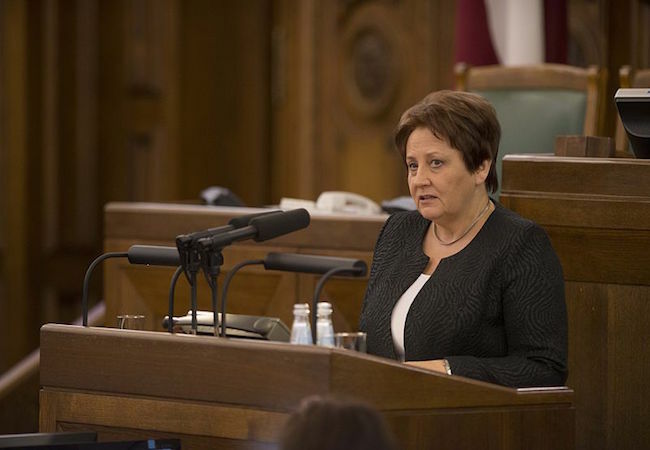 Straujuma’s words come after she reported on national security to the Latvian parliament on January 21, 2016. “Russia’s attempts to affect Latvia’s national security are ongoing,” she said. “Aggressive propaganda, economic sanctions, the demonstration of military power, and the unprecedented concentration of troops close to the Baltic borders are those expressions we will have to deal with.” She said that Russia’s aggression in Ukraine last year continues to threaten peace and stability in Europe. Strajuma added that although Latvia is currently not facing any direct security threats, any possible risks and threats must be identified in time to ensure the country’s stability. Straujuma’s report claims that the conflicts in Ukraine and Syria, the formation of terrorist groups in the Middle East, the increasing flow of refugees to the European Union, plus terrorist attacks on EU member states have left a significant impact also on Latvia’s domestic policy. In 2016, internal and external security became the Latvian government’s priority. Latvia’s armed forces and its law enforcement institutions will be strengthened, in order to bolster the Latvians’ belief in the state and its policies.